Comfort and splash protection are at your fingertips with the Jackson Safety V80 Monogoggle XTR OTG Goggles. The safety splash goggles give you eye protection from liquids with a sporty design and curved lens for an enhanced vision field. The goggles feature a flexible, comfortable frame and have indirect ventilation for increased airflow, which also minimizes condensation and fogging. They’re designed to fit over most prescription eyewear. 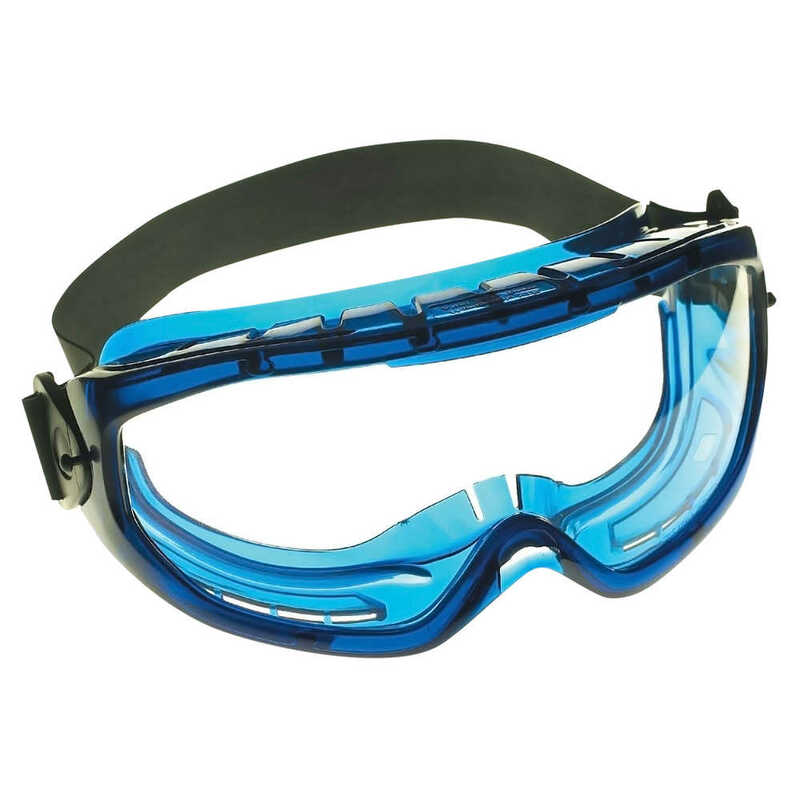 The goggles are clear (with a blue frame), making them ideal for indoor use and maximum light transmission. The polycarbonate lenses provide 99.9% UVA/UVB/UVC protection. 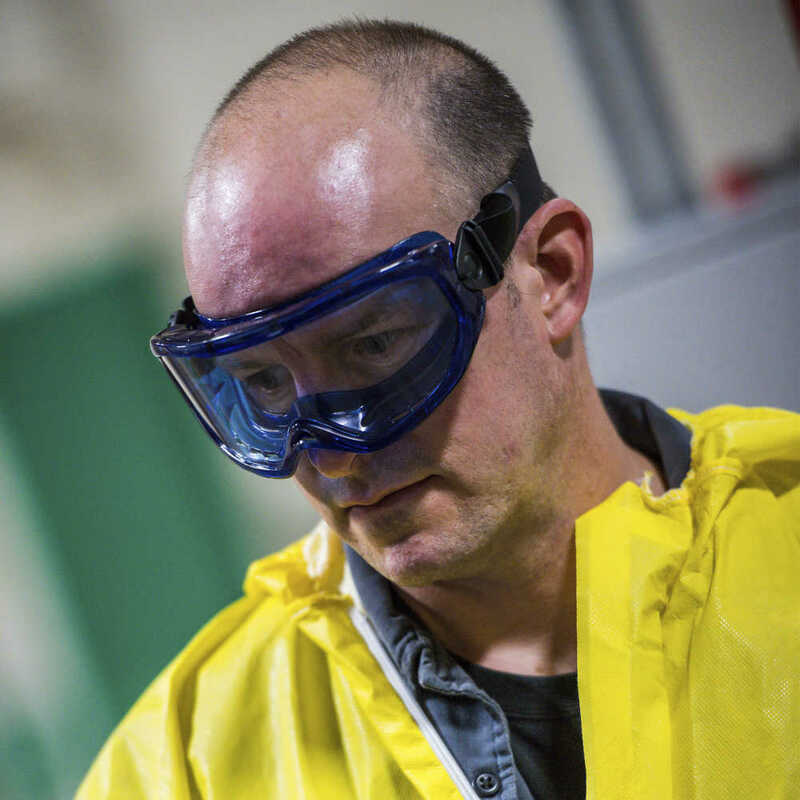 The splash safety goggles meet the ANSI Z87.1+ standards for impact, with a D3 rating for droplet and splash protection.